One the exceptional melee weapons in the game, Shem Drowne's Sword is a unique weapon that deals radiation damage to foes. This lingering effect will cause serious pain to you most hated enemies. Read the guide here to understand how to get Shem Drowne's Sword for yourself. Based on a Revolutionary Sword, the weapon is offered as a reward for completing a particular "Detective" quest. 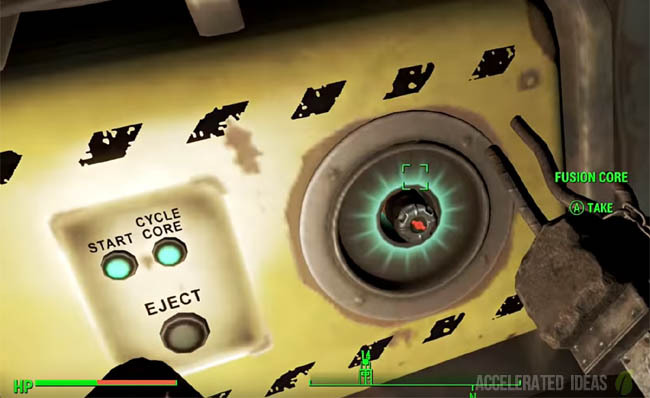 There are a series of steps you must follow before this quest becomes active and you should note that the quest is activated from within the Greater Boston area (centre of the world map), in particular Diamond City which lies to the Southwest of the Boston Neighborhoods. Without following the right steps, this quest will not automatically appear. 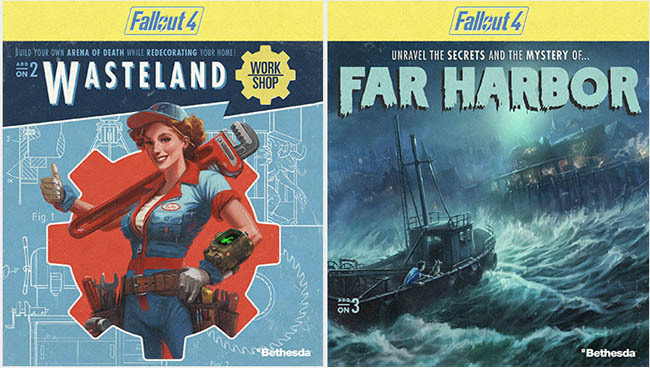 Head to the Valentine Detective Agency in Diamond City. 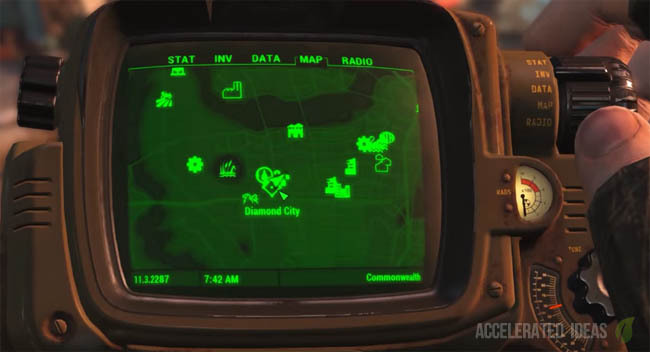 As mentioned above, Diamond City is an enclosed area inside The Fens, which is the Southwestern part of the Boston Neighborhood. For new players, this area is located almost dead centre on the world map, just south of the Cambridge neighborhood. 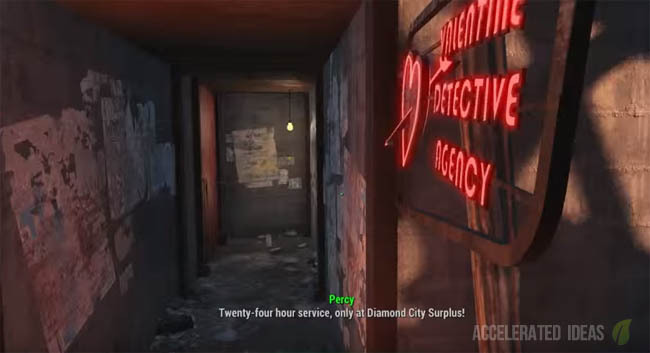 The agency is down a back alley with a red neon sign, shown in the image above. Enter the Detective Agency and have a word with Ellie to find out about some unsolved case files. Then explore the office for Marty Bullfinch's Holotape. Listening to this tape will unlock The Gilded Grasshopper quest. 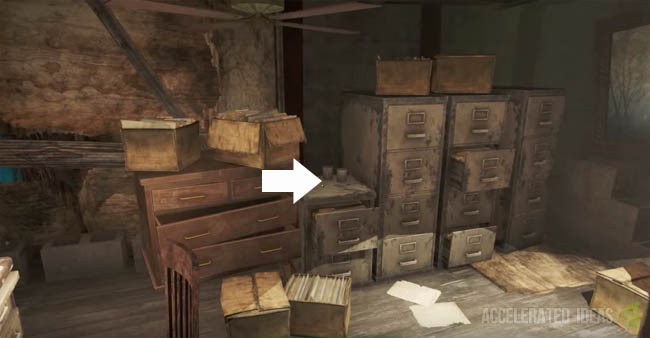 The Holotape reveals that Nick Valentine's partner, Marty Bullfinch, believes that there's hidden treasure in the Faneuil Hall - he's absolutely right there is! Head to the Financial District of Boston which is located on the eastern side of the Boston Neighborhoods; south of the river between Beacon Hill and Boston Harbor. 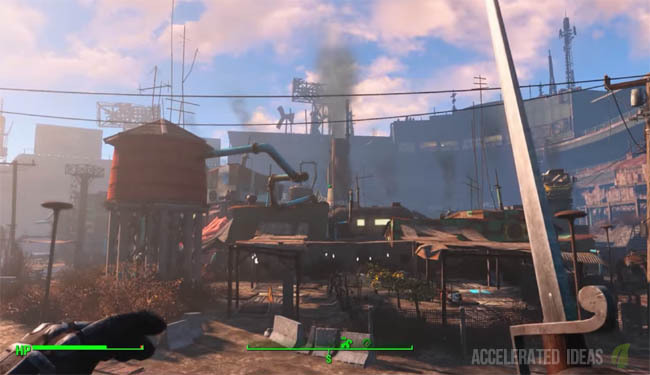 Find Faneuil Hall, a three story building and also a Super Mutant stronghold. Ascend through the building, fighting off the high level mutants, and working your way to the ladder which leads to the roof. Climb the ladder to reach the rooftop. Locate the Gilded Grasshopper on top of a globe and read the note inside. This note reveals the location of the secret grave in a small cemetery in the Northend Neighborhood. The image below shows the exact location of the grave to make things easier. To reach Northend, travel north through the city, leaving the Financial District and entering Northend which is directly adjacent to where you are. Locate the cemetery and watch out for Feral Ghouls and then inspect Shem Drowne's grave. Congratulations you just found Shem Drowne's Sword! !